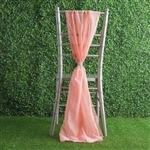 Adorn your banquet chairs with super light and soft Chiffon Designer Chair Sashes and embellish them with jeweled buckle or clips. Chiffon fabric brings a delicate elegance touch to the overall theme with its seamless stylish appearance. 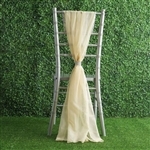 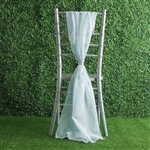 Smooth wrinkle-free Chiffon Chair Sash with slightly slippery feel flawlessly drape your chairs offers an appeasing visual to the guests. 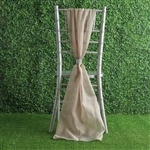 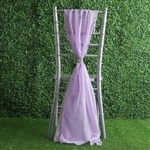 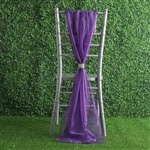 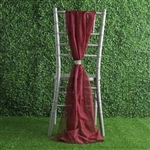 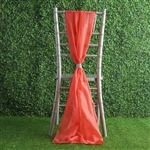 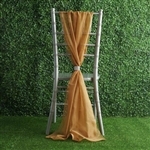 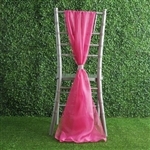 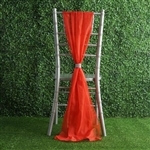 Style up the party chairs with matching shades of chiffon fabric chair sash available at competitive prices by Razatrade. 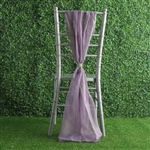 Manoeuver your guest-hosting space with these deluxe chiffon linen and invigorate the spirit of the occasion effortlessly. 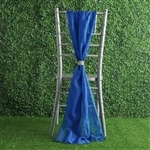 Perfect for all sorts of venues including banquets, hotels, beach destinations, cruise, wedding halls, casinos, and catering locations, these amazing chair sash are available in a wide variety of shades. Designed to offer maximum functionality and versatility, these Designer Chiffon Sashes are sure to make a stunning statement.